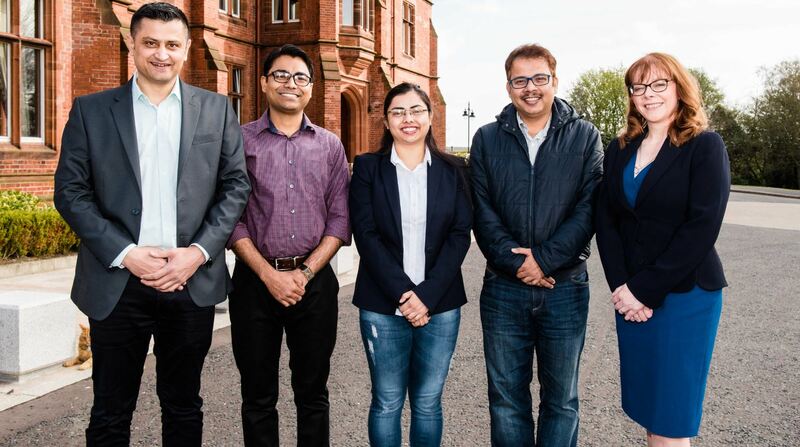 Queen’s University, in collaboration with Dibrugarh University in the northeast Indian state of Assam, hosted an international conference last month (27-29 April) entitled 'Network and Games', at Queen’s Management School. The conference was the part of UK India Education and Research Initiative (UKIERI), jointly funded by the British Council and University Grants Commission. The conference is part of a three year research project led by Dr Rajnish Kumar, from Queen’s Management School, entitled: ‘Bi-cooperative network games: analysis and application’, which has been funded by the British Council and University Grants Commission under the UKIERI scheme. Game theory is the study of mathematical models of conflict and cooperation between intelligent rational decision-makers and is primarily used in economics, political science, and psychology, as well as in logic and computer science. The collaboration between Queen’s and Dibrugarh University is under the leadership of Dr Kumar and Professor Surajit Borkotokey. The research focuses on bi-cooperative network games, which model the worth produced by a network, in terms of monetary or economic value and its power of influence or control. Speaking ahead of the conference, Dr Kumar said: “The aim of this conference is to consider bi-cooperative games as a basic modelling tool under hard and uncertain settings, followed by their uses in situations such as multilateral trade negotiations, biological gene classifications and analysis of mobile ad-hoc networks. A number of world-leading economic and game theorists participated in the conference, including: Professor Herve Moulin from University of Glasgow, Professor Jean-Jacques Herings from Maastricht University, Professor Sudipta Sarangi from Virginia Tech, Professor Rene Van-den Brink from VU University Amsterdam, Professor Anna Bogomolnaia from University of Glasgow, Professor Juan Moreno Ternero from Universidad Pablo de Olavide, and Professor Jens Hougaard from the University of Copenhagen. Inquiries to Dr Rajnish Kumar at Queen's Management School on telephone: +44 (0)28 9097 5424. Caption: Pictured (L-R) are Dr Rajnish Kumar, from Queen’s Management School; Mr Sarvesh Bandhu and Ms Loyimee Gogoi, PhD students from India who are visiting Queen’s for three months as part of the research project; Professor Surajit Borkotokey, from Dibrugarh University and Professor Nola Hewitt-Dundas, Head of Queen’s Management School.